Since launching with a guerrilla fashion show in Paris, Kaviar Gauche has risen to become one of the most covetable European Bridal couture labels. I know you Bijou brides will be as enamoured as I am. Scout’s honour. The young Berlin-based label prove there’s reason to travel to find your perfect wedding dress. Well, any excuse to visit one of my favourite cities. If the fashion label is new to your bridal radar let me tell you a little more. Kaviar Gauche is – designers Alexandra Fischer-Roehler and Johanna Kühl who started the label after graduating from the International University of Art for Fashion in Berlin. The Papillon D’Amour is their seventh bridal collection. Inspired by the butterfly, their graceful charm and daintiness. And did you know that in Japan the butterfly is a symbol of femininity and two butterflies symbolise wedded bliss. 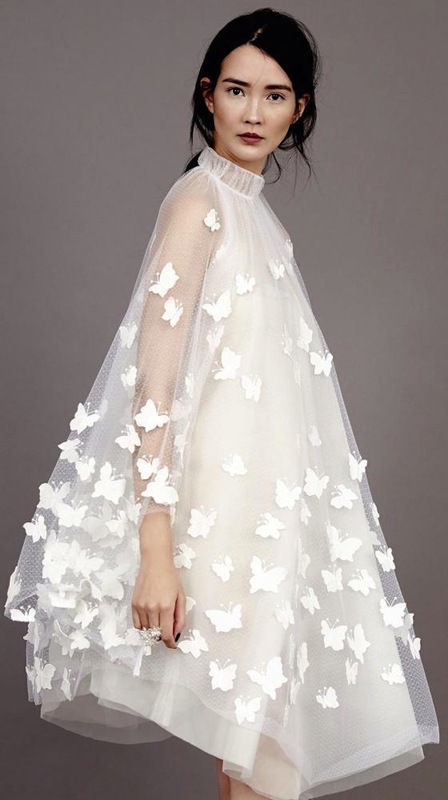 Fluttering skirts, kaleidoscopes of applique butterfly motifs and floral patterns run throughout the collection. Alexandra and Johanna aim to represent ‘modern glamour made in Germany’ with their trademark understated elegance and graceful modernity. 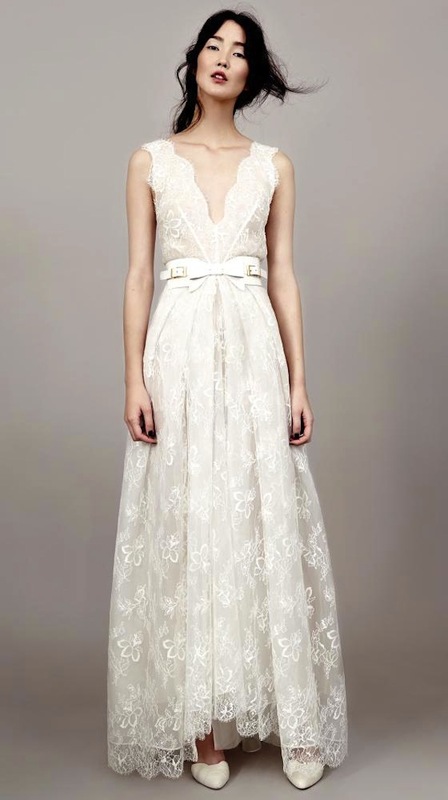 And something that’s certainly contemporary is the rise of bridal separates. 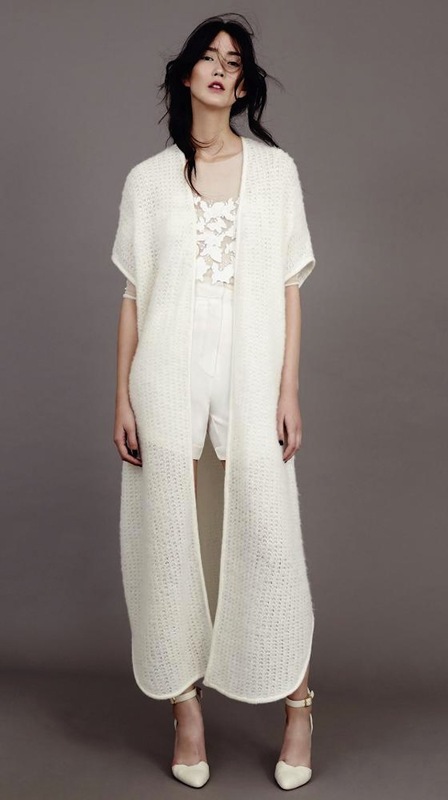 Chunky knits perfect for those Wintery wedding nights or midi skirts with silk tops for city chic, it’s all here for the fashion forward bride.